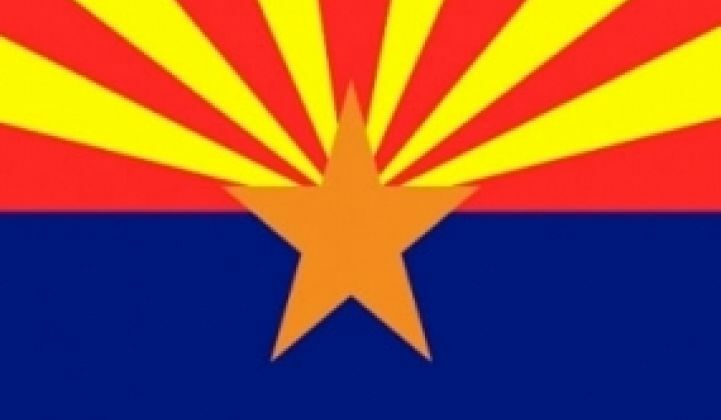 Arizona’s regulatory commission, once a champion of solar in the state, has officially declared a municipal solid-waste-to-biogas project to be an acceptable replacement for solar. It is a signal that the Arizona Corporation Commission (ACC), until the last election a bastion of bipartisan support for renewables, is shifting. 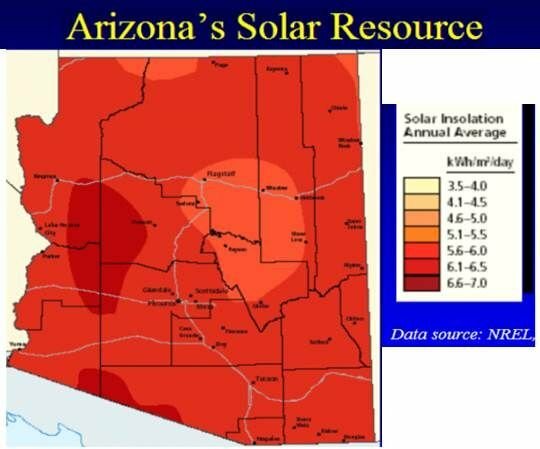 Arizona’s Renewable Energy Standard (RES) requires ACC-regulated utilities and electric co-ops, which include Arizona Public Service (APS), Tucson Electric Power (TEP) and Mohave Electric Co-operative (MEC), to obtain fifteen percent of their power from renewable sources by 2025. It also specifies that 30 percent of the fifteen percent come from distributed generation (DG). That RES was instituted by the ACC, which independently regulates electricity for the state, before the five-person commission was reconstituted along more conservative lines in the November 2010 election. In July 2011, the ACC voted, three Republicans to two Democrats, to allow MEC a waiver to substitute a 13-megawatt trash-to-gas power plant for part of its RES obligation. The waiver passed despite the fact that when the renewables standard was originally set, in 2007, it specifically ruled trash-to-gas as too polluting an electricity source to be a substitute for renewables. This week, after an administrative law judge turned back a legal challenge to the decision, the ACC’s three-Republican majority finalized the waiver to MEC for the plant. The two Democrats once again opposed. Reclamation Power Group LLC, which will own and operate the plant, is co-owned by Ron Blendu, an Idaho resident and brother of former Arizona Republican legislator Robert Blendu, who testified in favor of the project before the ACC. Mohave Electric CEO Tyler Carlson argued that the trash-to-gas power plant could reduce costs to ratepayers by saving some of what the utility spends on solar. Newman’s argument is substantiated by numbers from the Energy Information Administration (EIA), the statistics keeper for the U.S. Department of Energy, which put the capital cost to build a municipal solid waste plant at $8,232 per kilowatt and the cost for operations and maintenance (O&M) of it at about $380 per megawatt-hour. 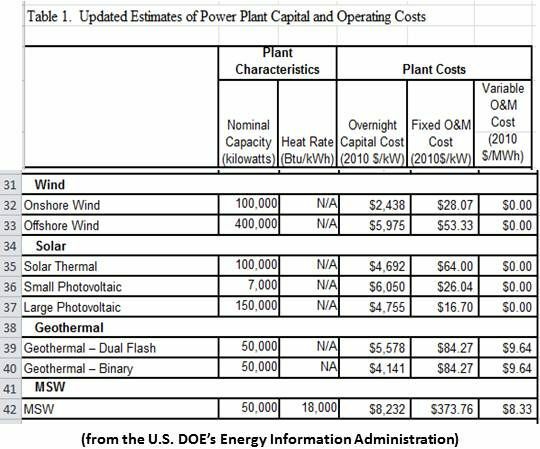 A comparably sized photovoltaic (PV) plant, EIA numbers showed, would be $4,755 per kilowatt to build, with O&M at less than $17 per megawatt-hour. The Grand Canyon Chapter of Arizona’s Sierra Club fought the project from its inception. Its legal appeal of the first ACC decision delayed construction of the plant. 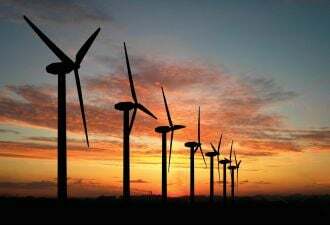 The appeal argued the technology is too polluting and was specifically rejected by the ACC in 2007 when it defined the renewable energies to be used to implement the RES. The administrative law judge’s ruling rejected the appeal and ended that delay. Phoenix construction jobs dropped 14.4 percent in 2010, according to the Arizona Department of Commerce, but Arizona moved from eighth to third place nationally in providing solar employment in 2011, going from approximately 3,800 to 4,786 jobs. A third of those jobs were in installation. Arizona also has, according to a National Renewable Energy Lab study, the third best combination of land area and resource potential in the U.S. for utility-scale solar power plant development (behind Utah and New Mexico). Yet, Commissioner Newman pointed out, “the ACC decision to substitute a trash burner for the RES solar requirement essentially kills utility-scale solar in Mohave County for the next decade. What are they thinking, and whose interests are they serving?"